In the first part of this article, Dr. Schreiber observed that freight is still largely offline and examined why freight digitalization has been so complicated. However, despite formidable challenges, the logistics industry has been anything but stagnant. Dr. Schreiber concludes by covering the players (from startups to billion-dollar companies) and the trends changing the industry. Carriers literally do the heavy lifting in international freight. Ocean carriers have sold directly to BCOs for a long time but avoided direct relationships with small and mid-sized shippers. Which makes sense. Customer acquisition at scale is a messy process. Customer management can be expensive and hands-on, especially in an error-prone industry like freight. Value-added services like customs brokerage, insurance, and reverse logistics add layers of complexities well beyond the scope of a carrier’s core competence. In the meantime, airlines have shied from selling directly to shippers of any size. But as of late, two changes have been upsetting the status quo. 1. Dropping profit margins – Hanjin’s bankruptcy in late 2016 capped a difficult year for carriers and 2017 hasn’t been much better. With 22,000 TEU mega ships exacerbating surplus capacity, the situation is unlikely to improve any time soon. By expanding to new (smaller) businesses, carriers can unlock some of the margin currently lost to Forwarders and NVOCCs. This is exactly where Maersk is headed, in their quest to become a global FCL integrator. 2. Scalable technology – Some new technology is changing the cost/benefit equation of user acquisition, encouraging carriers to expand direct sales to small and midsize companies. One recent example is CMA CGM’s recently-launched Freddie platform. Another direction is digital integration. For instance, in early 2017, Maersk Line natively integrated with Alibaba, enabling online booking instead of the more traditional route of high-touch sales via a separate customer-facing platform. With companies like Amazon betting big on B2B e-commerce sales (and backing it up with Prime shipping for businesses), this trend will only strengthen. As a result we expect to see more carriers using digital channels to sell directly to shippers, even to small shippers. In 2016, the top twenty global forwarders accounted for 60% of the freight forwarding market. While not always polished, these behemoths have outstanding operational experience, volume, and tools that provide support to midsize shippers. But, for the most part, they rely on some incredibly expensive manual back office processes, with much of their sales and service provided offline. While Freightos’ annual mystery shopping survey shows that most top forwarders still take days to respond to freight quote requests, the second half of 2017 saw a surge in forwarders moving online, with DHL Global Forwarding (air only) and Agility amongst them. Forwarders need to keep an eye on at least three new threats. First up, a new breed of forwarder, the digital freight forwarder (discussed below), who interact with their customers online and aim to fully automate back office procedures. Second are the capital rich tech giants like Amazon and Alibaba, both of whom are increasingly moving into the logistics space. And third, (as discussed above), are carriers selling more directly to shippers. Interestingly, some larger forwarders see capital-rich logistics companies like Amazon as more of a threat than digital forwarders. For example, Expeditors’ 2016 Investor Statement warns of the risk of technology-based competition, and specifically cites, “many of these competitors have significantly more resources than Expeditors”. That’s a lot of resources, because Expeditors has a current market cap of $11 billion. C.H. Robinson, on the other hand, calls out industry competition from both “internet matching services and internet freight brokers” in its 2016 annual report. 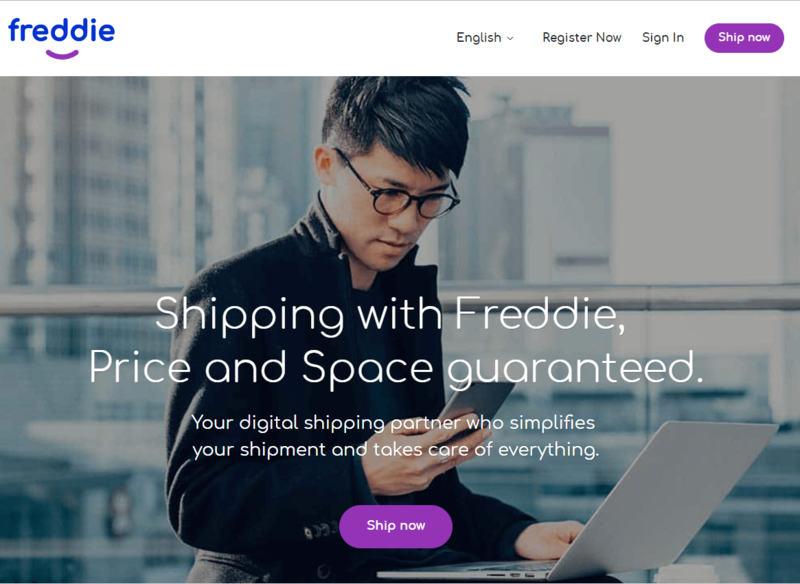 The new breed of digital freight forwarders ply wares similar to traditional freight forwarders but use technology stacks designed and built bottom-up with the aim to better serve customers. 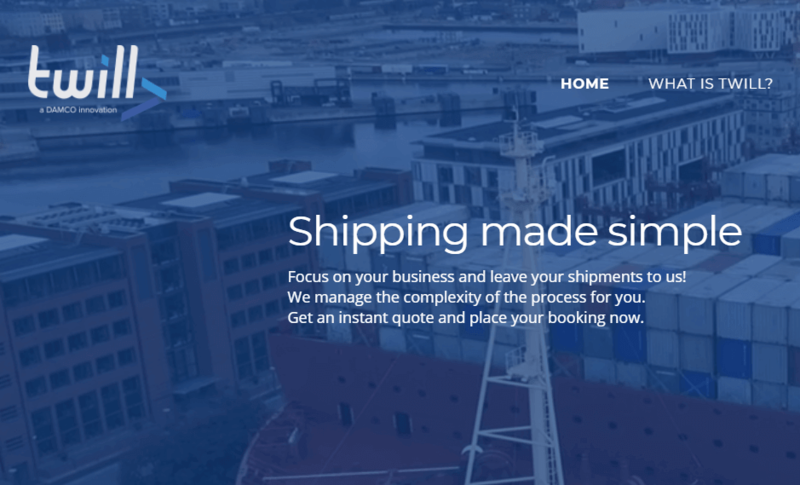 The combination of customer service and automated process means that companies like Flexport are taking enterprise forwarders head-on, to the point of now expanding to asset-based activities like warehouse management. Traditional forwarding leaders are experimenting with this too, in the form of Damco’s Twill Logistics (with Damco itself, of course, owned by Maersk). These startup digital forwarders still have significant hurdles ahead. They compete with larger forwarders that leverage volume for lower carrier prices, making it harder to win on price. In addition, as traditional forwarders and carriers steadily digitalize, the competitive edge provided by tech may be eroded. As a result, we expect to see more carriers using digital channels to sell directly to shippers, even to small shippers. As supply chains become more complex, with more players and faster information movement, collaboration remains a central challenge for international freight. Some startups are trying to introduce efficiencies in this space by creating collaborative workspaces where suppliers, manufacturers, logistics providers and other service providers can synchronize activities and planning. One example, albeit in the domestic freight space, is Turvo, which closed a $25 million series A round in March 2017. One hallmark of the modern customer is the ability to self-educate and research. Google research shows a 900-point digital customer journey when choosing a leased car, with over 70% of these points taking place on mobile devices. A similar process is mirrored in the B2B space, with information-rich users heading online to make better decisions. With the shroud of secrecy lifted, this places more onus on logistics providers to provide clear value upfront. 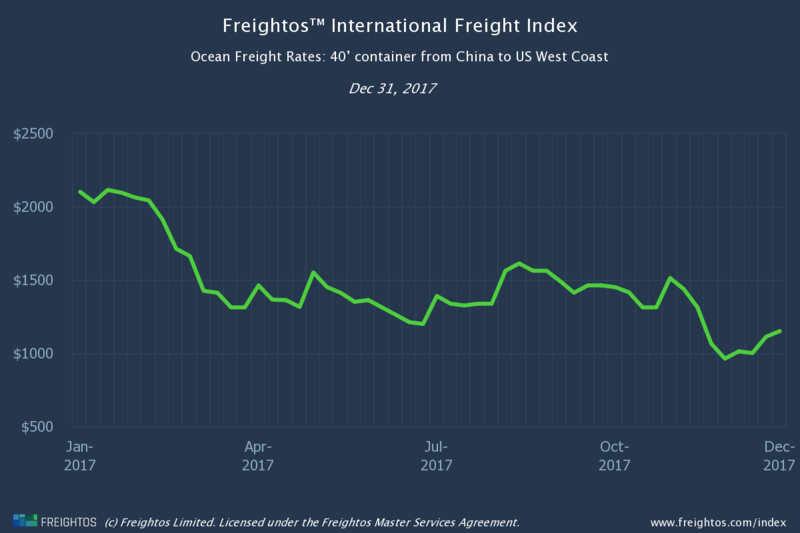 While our Freightos International Freight Index provides this type of visibility for free, there are a number of companies using Big Data tools, artificial intelligence, or crowdsourced data to help bring more transparency to freight. This list was by no means fully comprehensive. From rate management tools to domestic trucking, freight networks, and slot booking, the logistics technology space is an incredibly vibrant one that is showing no sign of slowing down. But let’s talk about Freightos for a second. Eight years ago, I ran a company that imported electronic components from China to the US and Europe. While this is the world’s most heavily used trade route, the process was a nightmare. So I set out to change it. Simply put, Freightos is on a mission to power frictionless trade between the people of the world by bringing global shipping online. We’ve spent six years building and refining the technology to digitalize international freight routing, pricing, and sales. Along the way, we’ve worked with over 1,000 freight forwarders around the world, including many of the top 20 global 3PLs. Since we still live in a world where most data is offline, we’ve needed to ingest over 100,000 big Excel sheets from around the world into our Big Data database, so we created the tools to automate that process and repeatedly scaled up to handle yet more, and with far less effort. Then we turned around and created transparency tools like the free Freightos International Freight Index, to help players across the supply chain improve efficiency. When we acquired WebCargo in 2016, that set the stage for even more automation so that we could connect airline carriers directly with forwarders (more exciting news coming on that soon). Next came the mid-2016 launch of the Freightos Marketplace. It hasn’t stopped growing since and is now servicing thousands of global shippers while generating many millions of dollars of bookings. More importantly, it’s eliminating core aspects of friction from international freight, making importing or exporting easier and more efficient than ever. The end result is that Freightos is creating the freight data pipes where prices, capacity, bookings, and visibility metrics can easily flow between carriers, forwarders, and importers/exporters. Whether by API, third-party sites, or on our digital assets, we’re bringing the entire ecosystem online, unlocking the transparency, visibility, and speed of service required for modern global supply chains. Join with over 10,000 professionals getting cutting-edge logistics tech insights right to their inboxes.